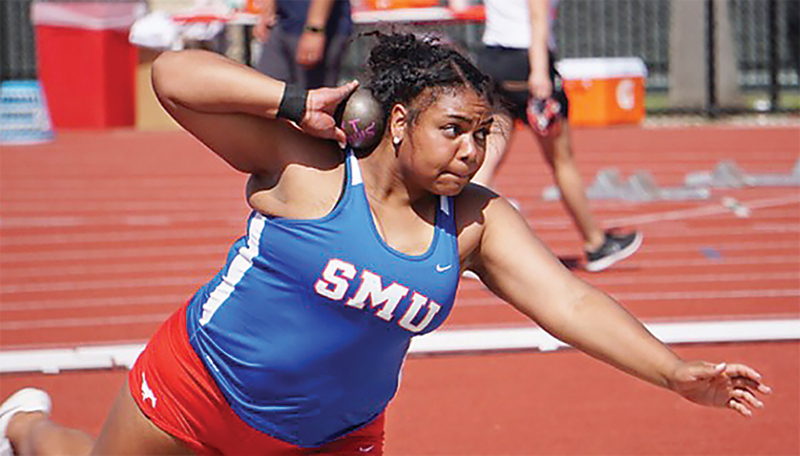 Former Port Isabel track and field athlete Daniella Murchison is starting her junior year at Southern Methodist University (SMU) in Dallas, and is on schedule to graduate after only three years. She was a three-time shot put state champion in high school and is continuing to throw both the shot and the discus while working on her degree. Murchison is majoring in physiology and sports management and is thinking of a career as a women’s athletic director or health coordinator for a large company. She sat down with the Press recently and talked about life as a collegiate student/athlete. “It was a pretty good transition (from high school),” Murchison said.